MOORPARK, Calif. -- Playing golf in Los Angeles takes a bit of skullduggery -- you must have a deft hand to avoid the hordes of wedge-wielding urbanites looking for a few acres of turf to abuse. 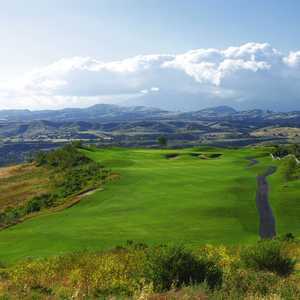 Thankfully, the northwestern suburbs have risen to the task: Cities like Moorpark and Simi Valley are now home to a half-dozen classy golf courses well worth the 30- to 40-minute drive from the city. Tierra Rejada Golf Club is well worth the 30- to 40-minute drive from L.A.
Tierra Rejada Golf Club stands out as one of the finest in this Emerald Triangle, preferred by non-masochists to Pete Dye's fearsome Lost Canyons up the road a piece, where whippy winds and hard-to-hold greens are the order of the day. At 7,015 yards from the tips, T-Rejada is a definite challenge, but offers more rewards for good shotmaking, and far more puttable greens than the elephant burial grounds nearby. 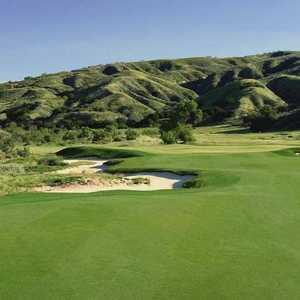 Designed by Robert Cupp in 1999, this elevation-shifting layout has more than a few memorable holes, nice variety in the par fours and a few stunning vistas of the surrounding foothills. A bit links-like due to its dearth of arboreal foliage, the challenge at Tierra Rejada Golf Club is club selection due to the shifting breezes, and a few risky-rewarding looks that demand a little extra cerebral effort, which is why we prefer one course over another, n'est pas? 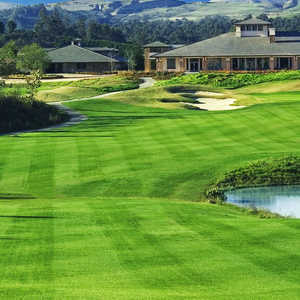 Affable Tom Szwedzinski, the general manager at the club since 2001, says "one of the best things about the design is that there are four distinct sets of tees so any kind of player can enjoy the experience. We have been seeing a greater number of women and seniors recently." To boot, the conditions at Tierra Rejada are impeccable: the greens run true and are cut close, the fairways lushly green without being too tight, and the tee-boxes well-tended. One of the side-benefits to such care was that the course served as a fire-break during the rash of blazes that threatened the area last fall. Szwedzinski and superintendent Fernando Gonzales were credited by firefighters for their untiring efforts that week to keep the course well-watered. Vibrant green is the color out here, a shocking sight in the midst of the brown scrub foothills that surround the course. Water hazards come into play on four of the holes, and most of the greens are well-bunkered. There are a few forced carries and the odd blind tee-shot, but most of the holes set up clearly from the tee-box. A little local wisdom doesn't hurt, to be sure, especially on the 11th hole, a 210-yard par 3, where, if you push your tee-shot left by 30 yards, some kind of Golf Leprechaun seems to wait a couple beats and then bowls it onto the middle of the green. Or maybe it's the sidehill gravity, but I like the idea of elves better. One of the other inducements to play at Tierra Rejada G.C. is the flexible price structure. You can buy a reasonable annual membership that entitles you to unlimited rounds, or be rewarded by the club's "Fifth on Us" plan, where after every four rounds paid you earn a free one. And do like the locals do and come hungry: the restaurant here is attracting even non-golfing gourmands, who covet the un-golf course-like braised lamb-shanks and cajun seafood Caesar salad. If it's hotdogs you're craving, go to a Dodger game. The Ronald Reagan Presidential Library is just minutes away if you want to add a little culture to the menu, and there is an abundance of farm-fresh produce to be bought within five miles of the course. But the main course is golf, and it's hard to find a more pleasurable venue for the venerable game in this area. Staff is friendly, there is a driving range and play moves along briskly. No walking, unfortunately. You'd have to be a mountain goat to navigate these hills. Tierra Rejada G.C. is no walk in the park, literally or figuratively, its steep hills forbidding anything but cart play, but don't let that be a hindrance. If judging golf-flesh has to do with images that remain in the mind's eye afterward, this course passes that test by well better than a neck. Some of those memories can be harrowing, like the aerial view from No. 8 tee, but most will bring you back to a course that is a challenge to both mind and body. Also, it is never in any less than great shape.